YLM produces a line of CNC hydraulic tube benders designed for the companies looking for an economical way to enter into CNC benders. The machines are available in capacity sizes from 1-1/2” to 5”. Utilizing the proven software technology these heavy duty benders will meet the needs of furniture manufacturers, automotive production, ship builders, or job shop applications. 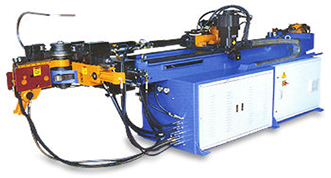 The YLM tube bending equipment we offer here at J&S Machine represents a high quality machine that is offered at a competitive price. If your business is looking to expand or you are just starting out, we have a variety of economical options when it comes to tube benders and pipe benders. These are a perfect match for those conducting a wide variety of shop tasks in the automotive, furniture, and construction fields. The machines can be used to fabricate a wide variety of items from basic machinery to complex ramps, stair systems, automotive exhaust systems, boat accessories, plumbing systems, and more. The possibilities are truly limitless when it comes to what you can create using our line of YLM CNC hydraulic tube benders. Our entry level CNC tube benders made by YLM are a great option that allows you to have the same technology used by major manufacturers, while paying a fraction of the price. These models can handle materials that range from 1 1/2" diameter up to 5" in diameter. This wide range of material sizes allows you to work with most common materials that are used in metal fabrication. 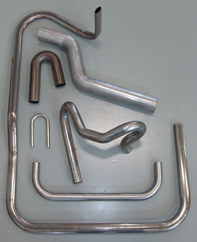 The major advantage of having one of the YLM CNC tube benders is that you can create so many different items. This is truly a valuable fabrication machine that can also allow you to take on projects that you would otherwise be unable to handle in your shop. Whether you are starting out in a new shop or you are looking to add a piece of equipment to expand your current production capacity, our line of YLM tube benders can be a great addition for your business. The versatility offered by these CNC tube benders will allow you to complete bends and fabrication projects you previously only imagined. This will also mean that you can compete for a wider range of business and projects since your shop's capabilities will be greatly increased. All of the YLM products we carry are built to the highest quality specifications and they are built to last. These machines have a full 1 year warranty and in many cases we also offer extended warranties. 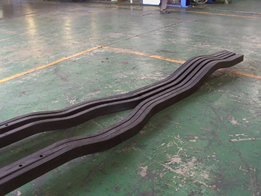 When you purchase a YLM CNC tube bender from us you can expect to be treated with the highest level of customer service available. We will not only ensure that your machine is setup for the most efficient operation possible but we will also help to train whoever will be using the machine. These all come with standard paper operational manuals as well as instructional software. The wide variety of features found on these tube benders will have you exploring and constantly finding new ways to use your machine. In addition to assisting your staff in learning how to operate your new machine we provide comprehensive service options for everything from maintenance to repairs or for installing new accessories, if applicable. Our team of highly trained staff will quickly respond to any concerns you have regarding your equipment and we will provide solutions to any issues you may have. This high level of customer service combined with our selection of competitively priced, high quality equipment is why so many of our customers choose us for all of their equipment needs.